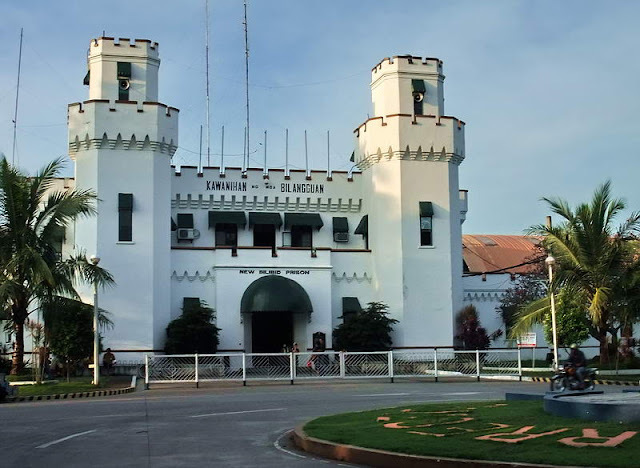 Justice Secretary Vitaliano Aguirre on Thursday said they are verifying reports of alleged drug manufacturing inside the New Bilibid Prisons (NBP) in Muntinlupa City. Aguirre said he personally received new information that methamphetamine or shabu was being cooked inside underground tunnels at the national penitentiary. He added that the Department of Justice (DOJ) already received offers of technological aid to locate the said tunnels. “Meron pong tunnel (sa Bilibid), meron po, may nagbanggit na sa akin niyan, meron tayong technology to determine kung meron talaga at kung nasaan ang tunnels,” Aguirre said over Radyo Inquirer 990AM. Aguirre said he was also able to confirm that shabu was being smuggled into the NBP by mixing it in bottled water, which inmates supposedly boil until shabu crystals remain. “‘Yung nakumpirma ko po diyan ay ‘yung pagpasok ng napakaraming bottled water na pagkatapos … ‘yun po ay kanilang iinitin. At pagkatapos ‘yung tinatawag nating precipitate, ‘yun po pala ay shabu for internal consumption dyan sa loob,” Aguirre said over radio DZMM. “Nakahalo sa bottled water, pakukuluan hanggang sa mawala ang tubig, at ‘yung matitira ‘yung po ang shabu na idinidistribute o pinagbibilli dyan sa loob,” he said. (What I have confirmed is the entry of a lot of water bottles. They then heat the water and what we call precipitate turns out to be shabu that is being consumed in the compound. Saying they were able to confiscate signal boosters but no cellphones on Wednesday, Aguirre lamented that prison guards help prisoners in hiding prohibited materials during raids. “Alam ko po ang ginagawa ng mga ‘yan dahil may nagreport na po sa akin. Ang ginagawa po ng mga ‘yan, ‘pag alam nilang nakatunog silang may raid, bibigay lamang nila sa mga guwardiya,” he said. “Sa lahat po ng aspect na ginagawa diyan sa loob ng Bilibid, meron pong graft and corruption, meron pong anomaly, at sa akin pong pagtantsa ito po ang pinakamaruming ahensya ng ating pamahalaan sa matagal ng panahon na hindi nasolusyunan nitong mga nakaraang administrasyon,” Aguirre added. (I know what they do because someone had already reported it to me. Once they get word that there will be a raid, they give [their prohibited belongings] to the guards. On Wednesday, 320 members of the elite Special Action Force (SAF) of the Philippine National Police took over the job of securing the NBP while 200 prison employees undergo training.